The NS100 is an operating in S-Band combined air- and surface surveillance radar capable of detecting and tracking aircraft, missiles, UAVs, large and small ships. In addition, it can support the weapon systems of its own ship. 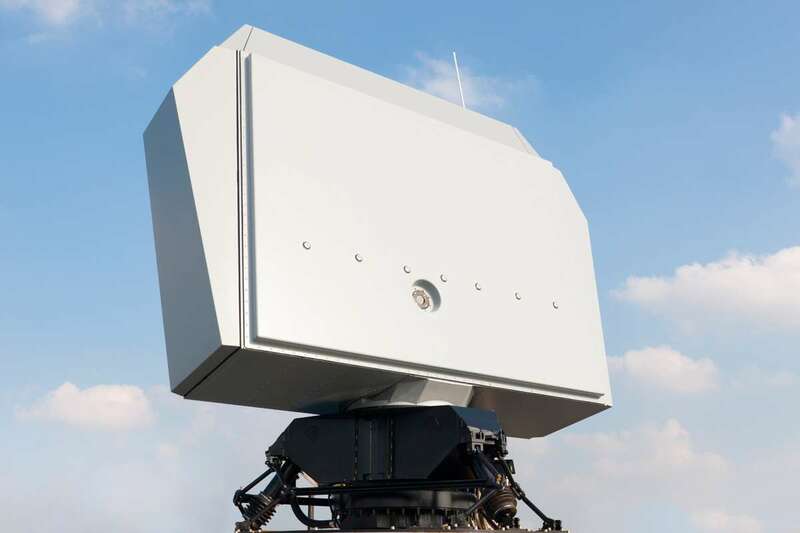 It is a full digital beam-forming Active Electronic Scanning Array (AESA) radar and a multi-sensor integrated platform integrating dual-axis multi-beam technology, which improves situational awareness in littoral environments. Together with the S-band radar, the system can be integrated with the Scout Mk3 FMCW radar, the IFF Mode 5/S interrogator and transponder, an IR camera, AIS and ADS-B. The NS100 was developed from two existing radars: the Sea Master 400 (SM400) radar and the SMART-S Mk2 radar. The performance of the NS100 radar can be scaled by adding transmit elements to meet the users requirements.